The risk from insider threats is rising significantly, yet the majority of organizations are ill-prepared to detect and mitigate them. Research has focused on providing rule-based detection systems or anomaly detection tools which use features indicative of malicious insider activity. In this paper we propose a system complimentary to the aforementioned approaches. 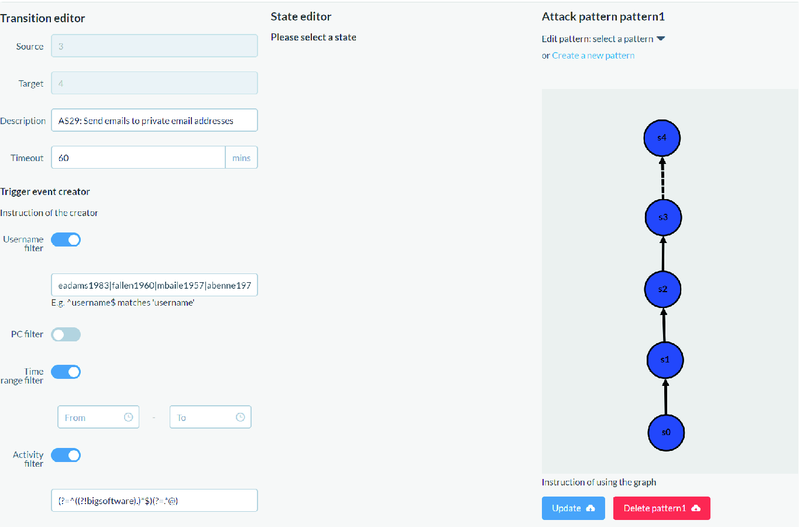 Based on theoretical advances in describing attack patterns for insider activity, we design and validate a state-machine system that can effectively combine policies from rule-based systems and alerts from anomaly detection systems to create attack patterns that insiders follow to execute an attack. We validate the system in terms of effectiveness and scalability by applying it on ten synthetic scenarios. 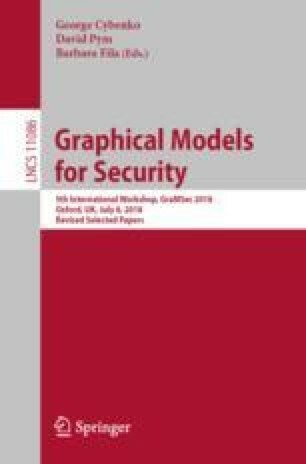 Our results show that the proposed system allows analysts to craft novel attack patterns and detect insider activity while requiring minimum computational time and memory. and Open image in new window , containing the activity related to usb (inserted, removed). Files for the same scenario are merged and sorted according to their Open image in new window so we have a file for each scenario containing all the logs from oldest to newest. In addition to the logs, the information of employees and their occupation role duties is also provided for each dataset. This information can be further used in building novel attack patterns or refining current ones. For example, we may want to detect and add a step if any employee accesses sensitive files where admin is part of a path or a name of a file. Figure 8 shows the attack pattern which raised an alert for the scenario explained in detail in Sect. 4. The texts next to the transitions contain the ids of the original attack steps in  and brief descriptions of the implementation of the transitions. For example, the transition from \(S_0\) to \(S_1\) in Fig. 8 refers to the attack step Open image in new window that insiders login to the organisations’ system using own credentials and this is implemented by capturing the logs in login system with value Open image in new window . 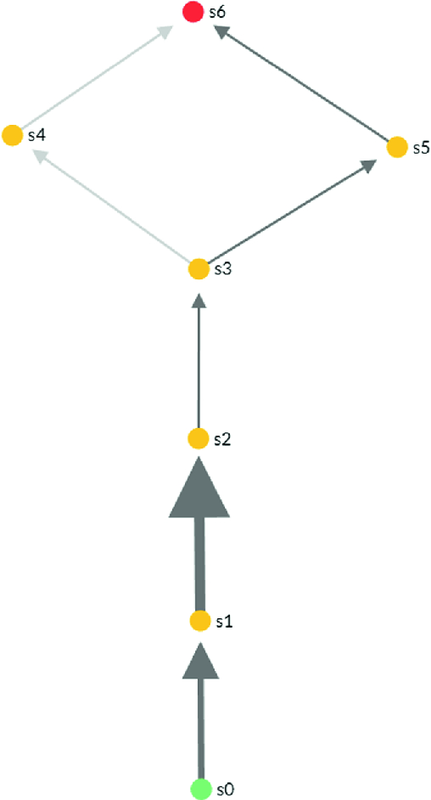 Figure 9 illustrates the trace followed by the insider (which is highlighted) and the thickness of the arrows in the figure represents the frequency of the transitions. Figure 10 presents the pattern editor interface and illustrates how analysts can straightforwardly design novel attack patterns without the need to change the code of the tool.